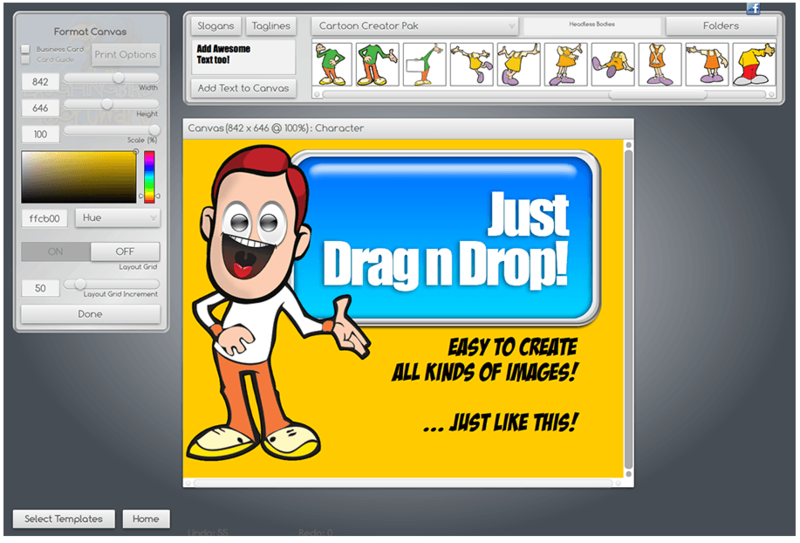 Stop looking at stock photo sites for character images – create your own! 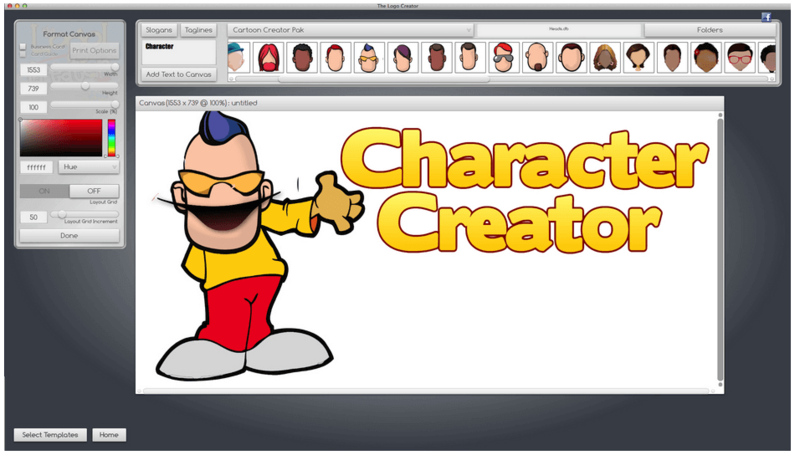 The Character Creator is an amazing software product that helps you create the perfect mascot character for your business and services! Its super easy to use, and really powerful! Import your own images, add some text… make banner images! If you can think it, The Logo Creator with the Character Creator Add on pack can make it happen! The Character Creator contains over 100 different ‘body poses’! You can mix and match the heads, eyes, hands… whatever! Over 50 different heads to use! Put the heads over some of the smaller ‘ready-made’ images to create a BRAND NEW character! Drop these eyes over some of the faces! The Character Creator contains over 100 different eyes to use! The Character Creator contains “Poses with No Face!” – drop the eyes and mouths over them and create some really cool images! Oh yeah! You can create page headers that look really cool! Or Ads! … get creative!